Alrightie, folks, it’s vacay recap time. As I did for Argentina, Australia, (Malaysia and Thailand were several posts)… I am going to recap my Italy trip for you… complete with Life, Love and Yogaisms. I still haven’t uploaded many pics yet, so I will be borrowing internet images to show you the Italia way. Since there is SO much I want to share, I’m going to break it down into three parts/posts: Florence, Siena and Rome. 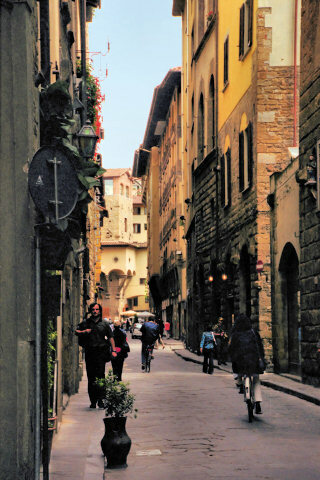 When you think of strolling along cute cobblestone Italian alleyways, waving to the market guy, crossing bridges, then finding yourself on an Italian Rodeo Drive… you’ve landed in Florence. I think Florence was my favorite of the trip. The vibe there was fun, easy, Italian. The piazzas were everywhere, brimming with life… and tourists. I will say, of the trips I have taken over the years, this probably takes the cake for the most tourists per capita. There are some advantages to this though… you can freely take out your iPhone or camera or map and snap pictures without feeling stupid. You still need to pay attention… but you know that no matter how touristy you appear, there are 8,000 people more touristy around you. The one thought I had the whole time in Florence was, “dammit, why didn’t I study abroad here instead of London?” I was entranced by the place. – Duomo hike – 463 steps and a little claustrophobia later leads you to the best rooftop view of the city – and a concern for fire safety in that building. – Piazza della Signoria – is the plaza where the replica David now stands in place of the real David. I just called him ‘Baby David’. I don’t think he minded. 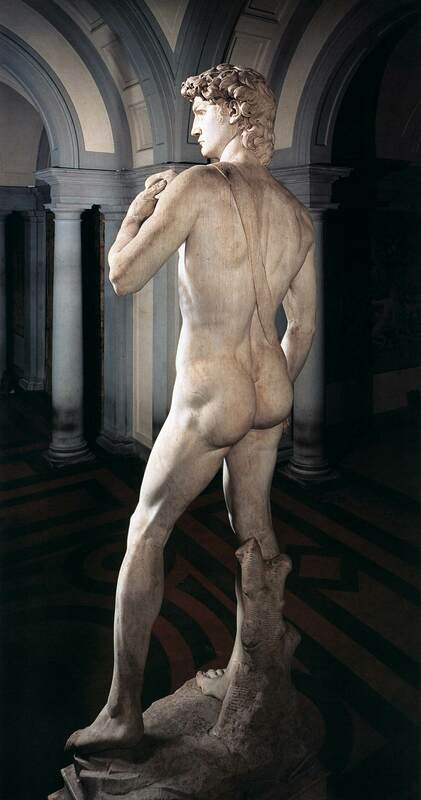 – David– speaking of, we went to the Accademia Gallery in Florence to meet the man, the myth, the legend- in the flesh. Er, marble. And yes, he is there for all to see. I have mixed feelings about tour guides, but our Isreali-turned-Italian guide, Lior, did a phenomenal job. And I found it all interesting. The D-man is not allowed to be photographed so I didn’t get a shot of him, but the internet has provided a lot of options there. David has HUGE hands. And buns of steel. Er, again, marble. Just an FYI. Be prepared. – Ponte Vecchio– is the famous bridge. We literally took pics in front of it for Instagram and check box purposes, then unceremoniously walked across it. It’s just very pretty and kind of cool to look at from afar. – The String– I think Florence requires a ‘help I can’t get up string’ in every bathtub, because our hotel had one, and curiosity got the best of me. 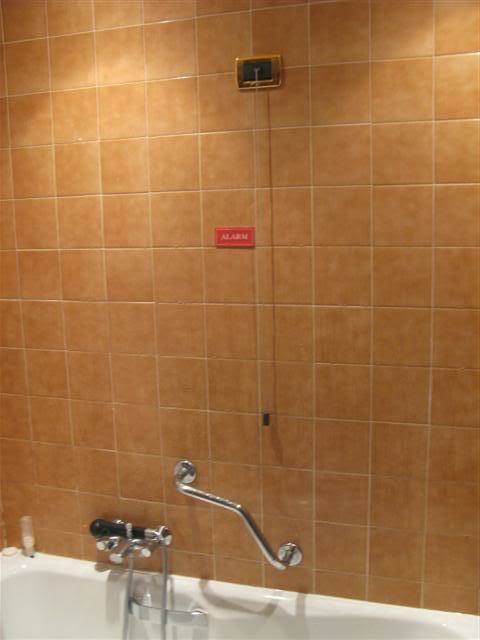 I pulled the cord… promptly the front desk called to check on me and I had to sheepishly (like i’m sure 1000 other American idiots) admit that I pulled the string like I would a finger- just to see what would happen. – Gelato– The gelato is addictive. Like ridiculous. More on food when we get to the rest of Tuscany/Siena portion of our program. – Lighting– You thought Britney Spears looked good with the right lighting…. Florence has you beat, girl. The lighting is amazing. The way all the buildings and streets are lit up, it’s like daytime part two instead of nighttime part one. The cathedral looks “so cool it looks fake” at night with all the stripes and lighting combo. “They” really do mean it when “they” say lighting makes all the difference. I mean, I want to go to Home Depot asap and light up my house. – Leather– Florence is probably the best of all the cities for this. The leatha! If you are a vegan for non-dietary purposes… DO NOT ENTER FLORENCE. You will be surrounded by the most amazing dried cow carcass smell everywhere you go. The leather is incredible. I bought a jacket and boots. Couldn’t resist. It’s just different there. So soft, yet so strong. Yum. Yes, I am still talking about the leather. Um, biggest surprise (and shows how clueless I am), Italy didn’t become a country until the mid-1800s. Yes, they are younger than America. Crazy, huh? It was literally broken into separate entities… Tuscany, Sicily, etc. all separate. I’m obvi behind on that one. Thanks, Lior. 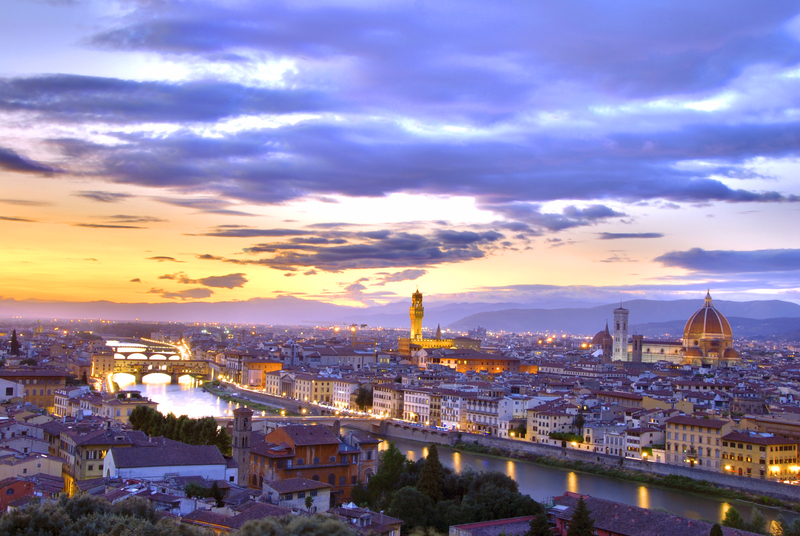 Anyway, Florence was my favorite of all the cities. Quaint but bustling, exactly the right size and the right amount of charm. 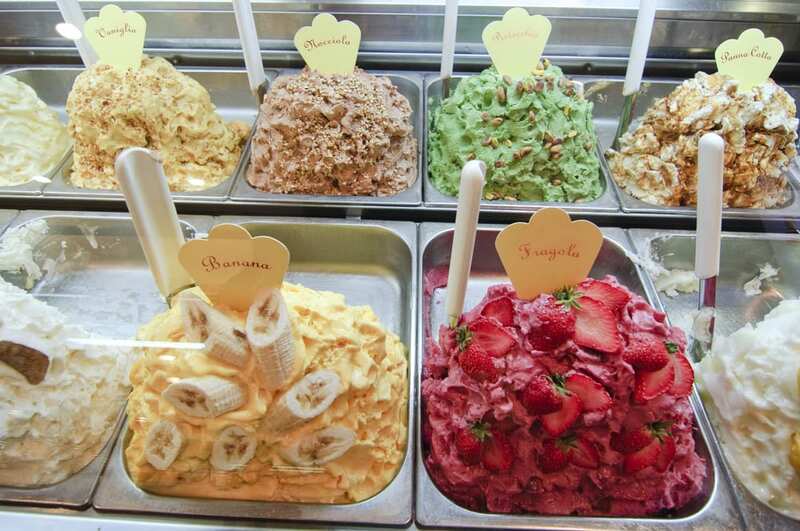 The gelato looks wickedly delicious.